For that sleek, close fitting look, sometimes a normal standard fitting cover isn’t good enough. If you have curves, show them off, and if you have a tricky angular classic or vintage motor, non-stretch covers will hang uncomfortably. 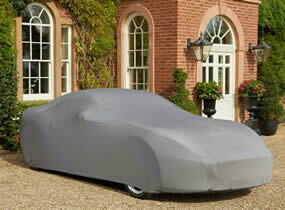 So our new soft, stretchy indoor car covers are ideal, and at a very keen price too. Their exterior satin sheen looks superb and they come in a choice of colours and sizes. 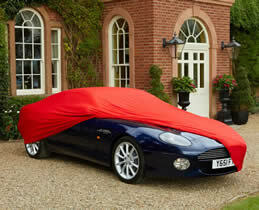 The inside is very soft and wont scratch even Concours paintwork. The fabric is premium grade - 220gsm satin blended with Lycra. Beware other similar looking covers at only 180gsm or less, for similar prices. Made from extremely soft 4-way stretch polyester with elasticated hems front and back, and supplied in their own zipped bag manufactured from the same colour fabric, they will flatter any car. 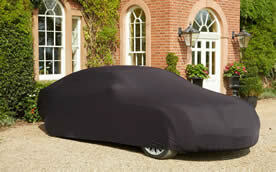 They are the closest we can find to the original Factory-supplied Ferrari car covers. They are dust proof due to a high density weave, are machine washable and lightweight. 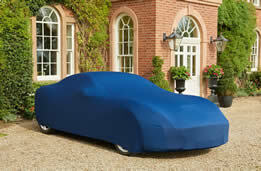 These covers are breathable, which is important to prevent moisture build up and paint problems. And they won't scratch your car. Supplied without any branding whatsoever. See more gallery images lower down the page. We are not responsible for the accuracy of the data on external websites. Add a manufacturers logo or your own design - there is space at Checkout to leave your instructions. 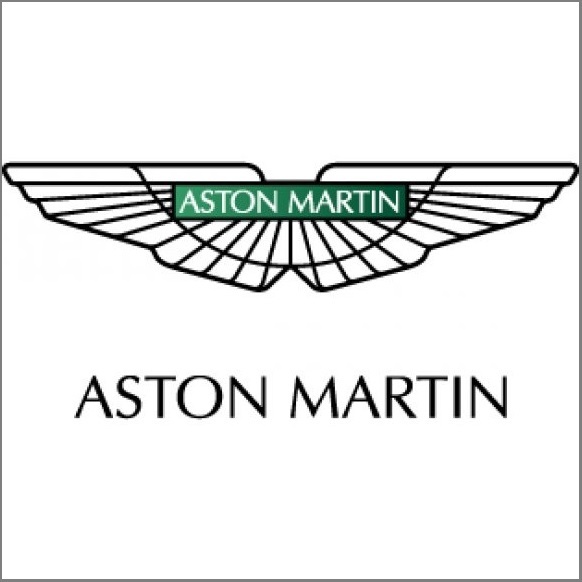 We'll contact you for any special requirements so you can e-mail your logo to us. Medium fits: Porsche 911 (993, 996, 997, 991), Cayman, 944, 968, Mercedes C Class (coupe, CLC, saloon), Ferrari F355, 360, F430, Jaguar F-Type, BMW 3-series, R8, Gallardo, McLaren 12C.